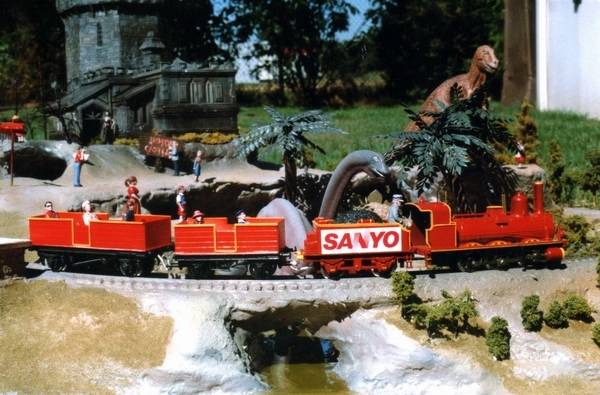 The Sanyo camera store in Richmond BC requested this Prehistoric Theme Park model, with a moving train, and haunted castle in the background. 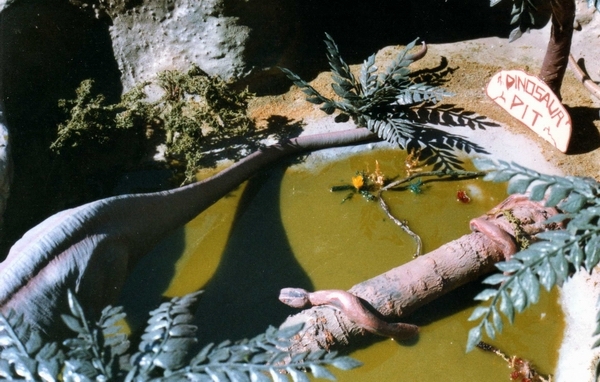 The purpose of the model was to allow perspective buyers of video equipment, to test the product on this display, in their store. Clients were able to experience the filming of moving objects (train), and check focus and depth of field factors, using parts of the display as their subject. 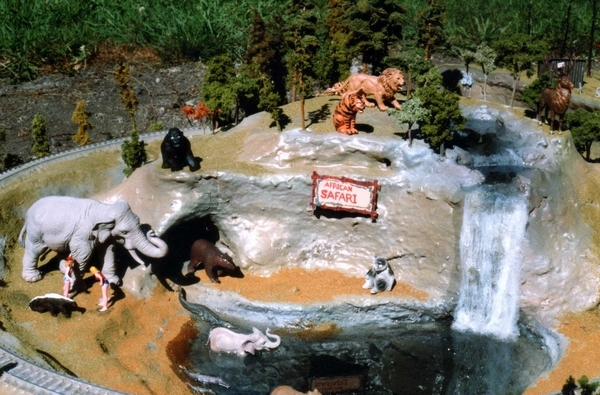 It was principally built to the Sanyo staff specifications, but our model builders went a little wild on many of the theme park's features. Needless to say, it was a most enjoyable project to be a part of, and the store were virtually "over the moon" with our presentation.